Made in 1996. 100% Commercial cotton fabric. Paper pieced. 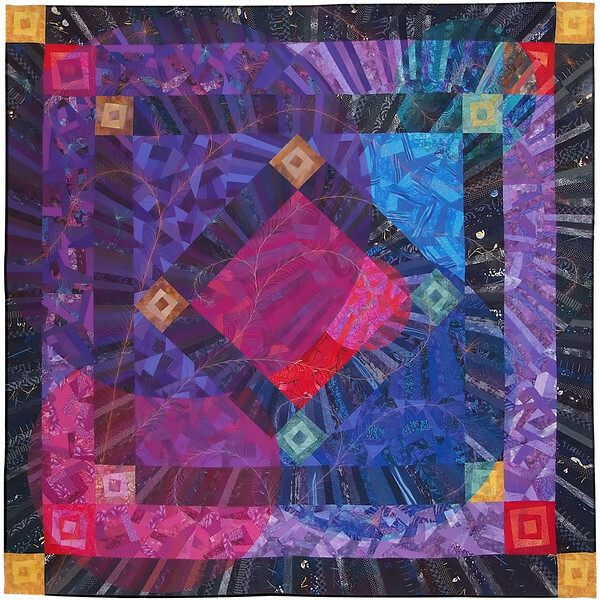 Simple Gifts was selected buy juror June Cluvy as the 101st Best American Quilt of the 20th Century.